Musical notation, step by step. 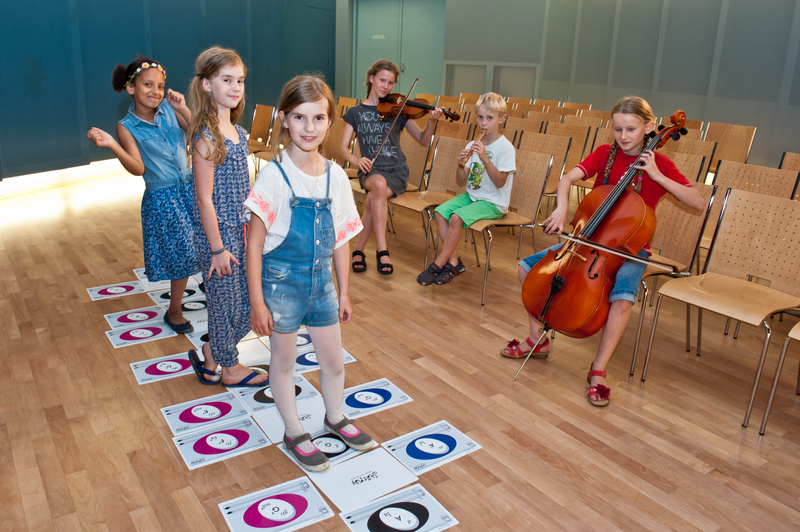 Haus der Musik in cooperation with the Lang Lang International Music Foundation presents the music education project STAIRPLAY – MUSIC STEP BY STEP. Discover, experience and understand the world of notes in just a few short minutes – step by step. With STAIRPLAY you will learn in a new, playful, simple and elementary way. The piano keys are arranged here in the form of a musical staircase, on which you can play notes, create music and discover new sounds, over and over again. With STAIRPLAY you will learn the basics of musical notation and get to know, how to use it. Take control of the musical staircase and enter the world of music! STAIRPLAY is a card- and learning game for kids as well as grown-ups that can easily be played in school or at home. 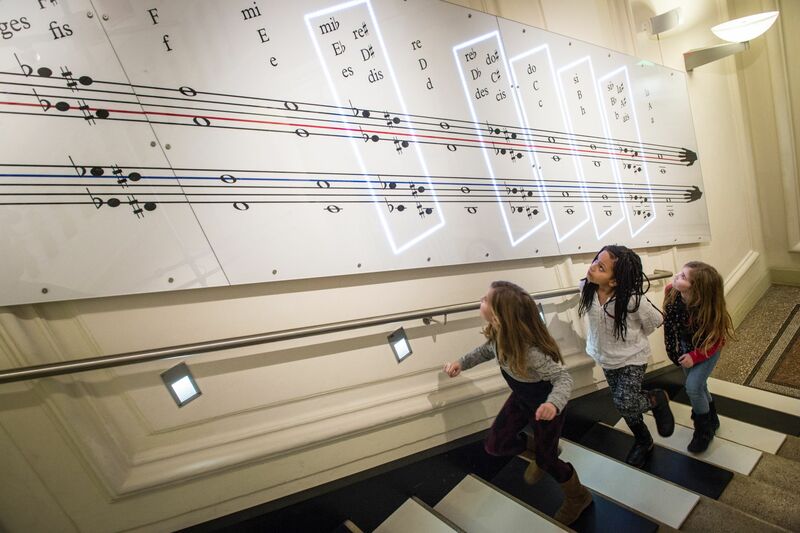 It combines an innovative, unconventional approach to music teaching with musical theory content and allows visitors to understand the relationship between instruments and notes- playfully, instantly and simply. STAIRPLAY consists of 21 cards. You can print as many cards as you need below. In addition to these cards we recommend downloading also the 11 learn sequences with many helpful tips how to play and compose with STAIRPLAY.